In accordance with the current data, Ukrgasvydobuvannya’s production volume in January-November 2018 reached 14.107 billion cubic meters of natural gas, which allowed covering production decrease of approx. 880 million cubic meters and exceeding the indicator for the same period of the previous year by 171 million cubic meters. 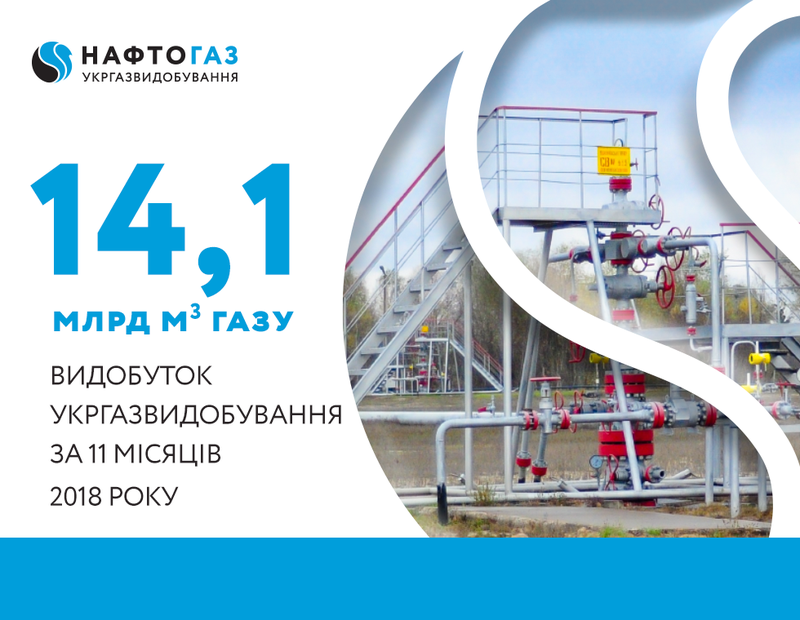 In November, Ukrgasvydobuvannya increased the average production per day up to 43.7 million cubic meters, that is almost 1.2 million cubic meters more than the actual performance for the same period in 2017. This result was achieved due to maximization of efforts in all operation areas, in particular, by increasing the number of activities in production stimulation up to 661, the extra production volume of which is 924.4 million cubic meters. In addition, since the beginning of this year, 91 wells have been drilled and 62 new wells have been put into operation. Ukrgasvydobuvannya effectively use the available hydrocarbon resource portfolio, but the majority of fields which produce 95 % of gas, are exhausted by 87 %. However, in order to implement the Program 20/20 and to gain energy independence, the issue of development of new resource portfolio should be resolved in the near future. Over the past three years, UGV obtained only 13 new special permits in 2016, 4 – in 2017 and 1 special permit was obtained by UGV as a winner of the open auction held in 2018. Such dynamics of obtaining permits for new areas does not allow significantly increasing gas production. To achieve production volume of 20 billion cubic meters, UGV would have to obtain approx. 20 special permits for new subsoil areas every year since 2016.